Location is often a top priority for companies looking to move or set up new offices. However, compromising on location can leave money for a fabulously stimulating and attractive place to work. The location of an office is important for a number of reasons. Firstly, placing an office in a fairly dense area or a wealthy city is likely to draw in the best candidates as they tend to already be working for top companies. There will also be a greater number to choose from, and they will not be tired out from having to commute to an unusual or less desirable area. However, companies have far more to think about when setting up a new office than simply where it is. A dark and dingy workspace is likely to have a huge impact on employee morale regardless of the desirability of its location. What business owners and directors may not consider is the fact that potential employees may be very happy to compromise on location if the office is well laid out, stimulating, and a pleasant place to spend 35-50 hours of their working weeks. Of course, drawing in top new employees may be a difficult task if the office is miles from the nearest city or town. However, finding premises that lie outside of a main business hub but within a commutable distance can be a great compromise. Money will be saved on the office space itself, leaving plenty of money left over to create a modern and stimulating office interior. 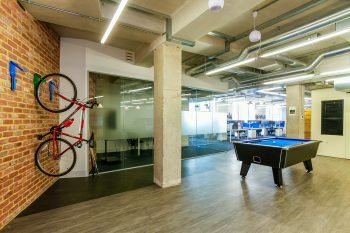 This could be a massive draw for potential employees, particularly considering the public’s increased understanding of the link between interior design and well-being. 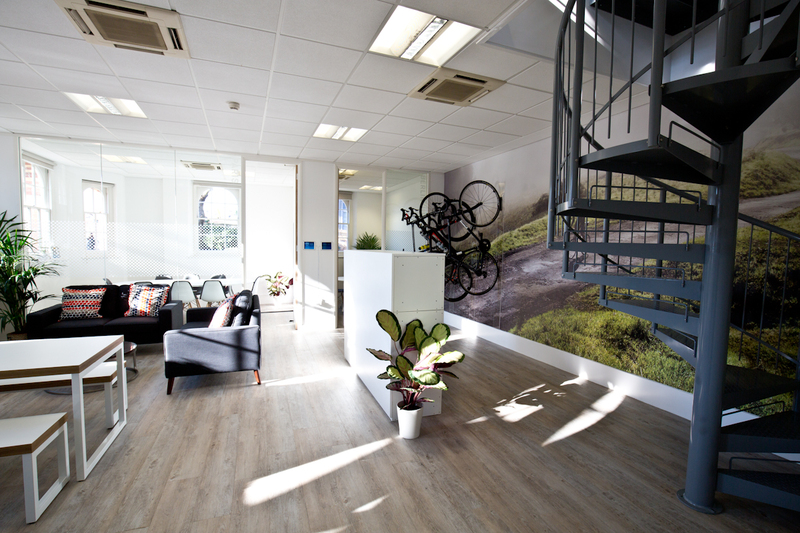 According to research the best offices encourage workers to sit, move and explore their environment as much as possible. Feeling trapped at work can be very detrimental to productivity and, more importantly, to the mental health of employees. One way to solve this could be to create specific zones for workers to visit depending on their mood or the task at hand. 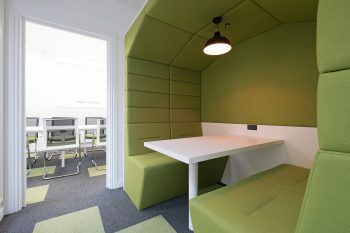 For example, a casual meeting zone could be created for employees who need brief one-on-ones with their colleagues, or a relaxation zone could be great for those who need a few minutes of downtime. 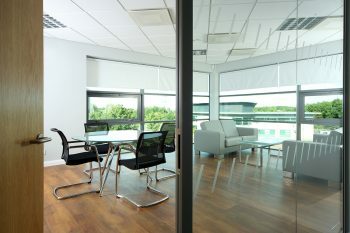 To mark out these areas, office designers could lay down different types of flooring, for example: different coloured commercial carpet tiles and vinyl tiles could be a simple yet very effective way of giving the different office areas a unique feel. There are many other ways for office designers to create a welcoming environment. Lighting can have a huge effect on mood, along with how comfortable the furniture is, or how accessible facilities such as bathrooms or kitchens are. Simple things such as temperature regulation are also important, so it might be useful to consider installing features such as floor insulation. Considering such small things is imperative to creating the perfect office design. Or as per the stunning design featured in this blog from McFeggan Brown, which uses Momenta Rusticana, why not bring location into the office?